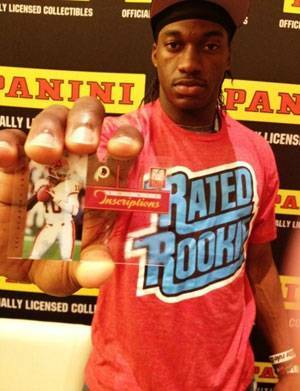 For the past couple of days, Panini and Topps have been busy gathering autographs at the 2012 NFLPA Rookie Premiere. 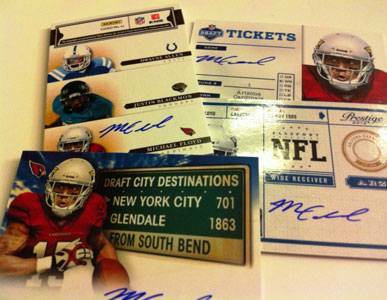 The three-day promotional event gathers 36 of top picks from the 2012 NFL Draft. 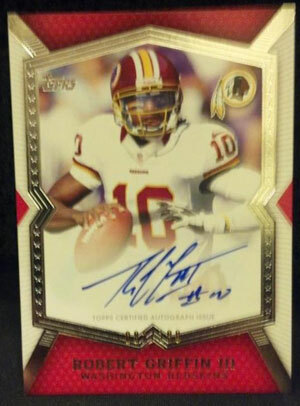 It will lay the foundation for a lot of the hits football card collectors will find in upcoming 2012 products. 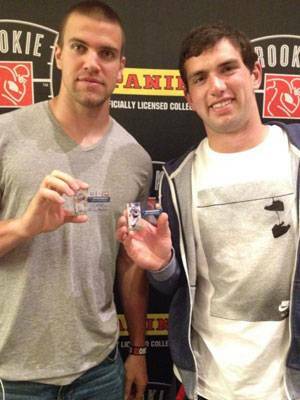 Throughout the Rookie Premiere, both card makers have used social media to offer previews of their cards. 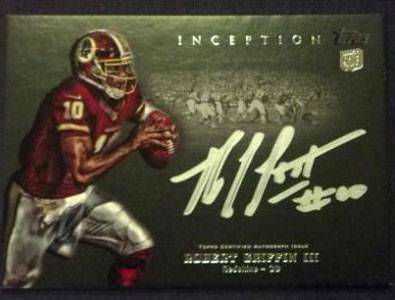 Among the highlights are the acetate 2012 Elite Football Rookie Inscriptions and the striking 2012 Topps Inception autographs. 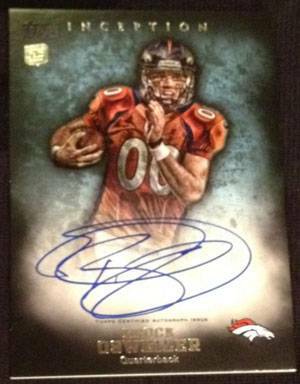 Panini's pictures also hinted at new Slideshow themed cards as well as some signatures slated for 2012 Prestige Football. Topps also had some Tall Boy autographs slated for a future product. 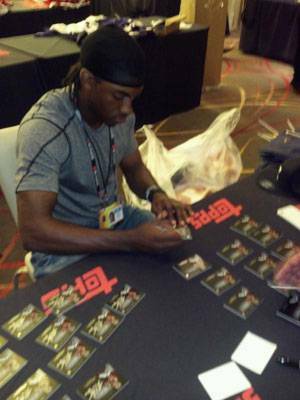 By bringing so many players together in one place, the 2012 NFLPA Rookie Premiere made for a good time to get on-card autographs for multi-signature cards. 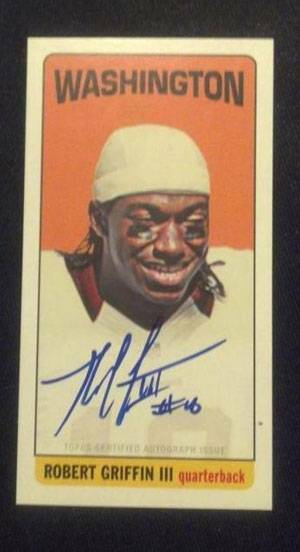 Topps and Panini each had their own takes. Both manufacturers have been extremely active online, get updates from the event in Los Angeles out. 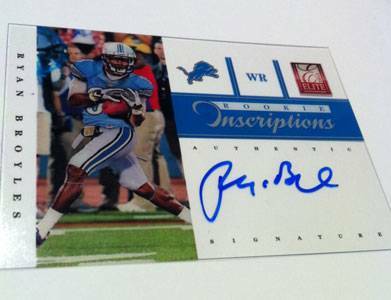 The Topps and Panini Twitter accounts have had pictures going out hourly. 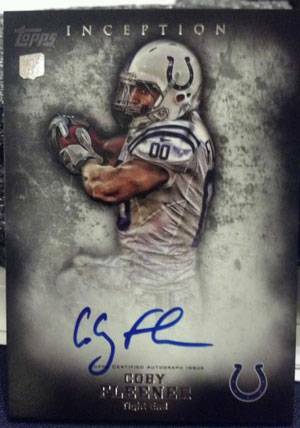 The Knight's Lance, Panini's official blog, has had daily recaps as well. 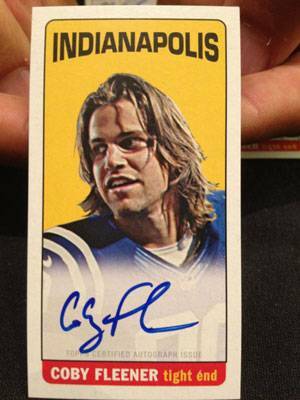 Topps has added an extensive picture gallery to their Facebook page. Below is a complete list of the players at the 2012 NFLPA Rookie Premiere. 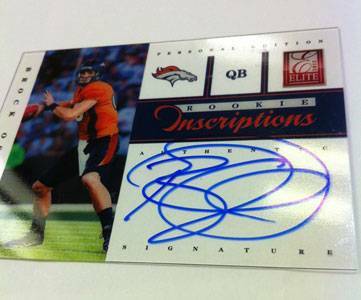 For collectors, these are the signatures that will be headlining many of the upcoming sets that are rookie-driven.